I know it’s been a long time since I’ve posted anything on my blog but I’ve been busy! I just got a large invitation order out the door, my work schedule has been more hectic than usual, and I just now had a minute to come up for air! It’s almost time to get Christmas cards in the mail so I decided to make one to get the juices flowing. This card uses Cherry Cobbler base with a Chocolate Chip textured card stock layer. The stockings were made with the Stocking Punch. 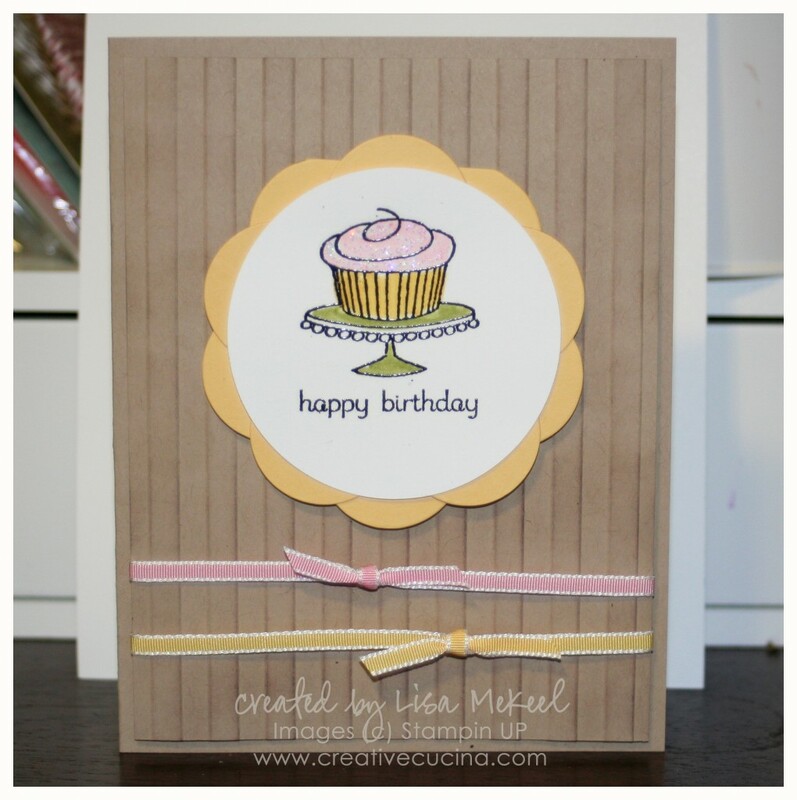 I used Very Vanilla card stock and Silver Glimmer Paper. I ran the Vanilla pieces through the Big Shot with the Square Lattice Embossing Folder to make them look like knitted stockings. 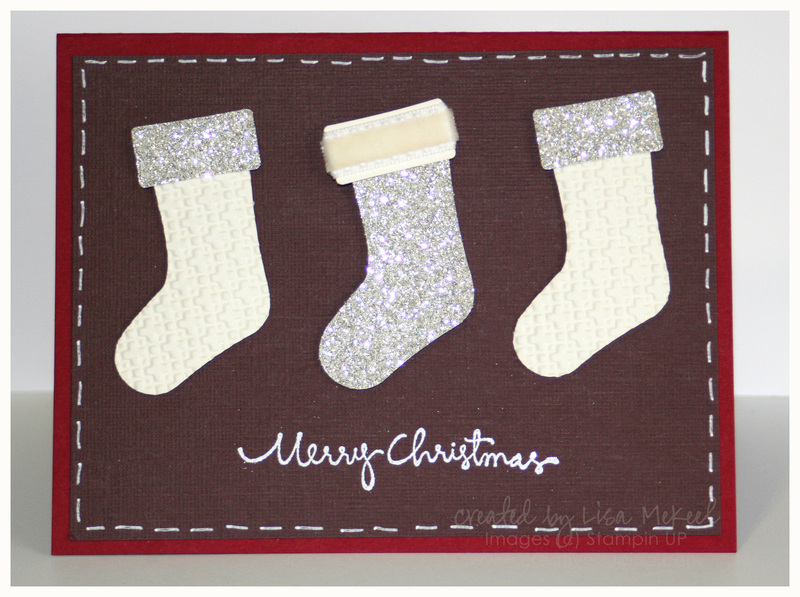 The band around the silver stocking is Very Vanilla Velvet Ribbon from the Holiday Mini catalog. The ribbon is so nice and soft, I’d like to make a card that features more of it. The sentiment is my favorite Christmas one from Christmas Greetings, stamped in Versamark and heat embossed with White Embossing Powder. 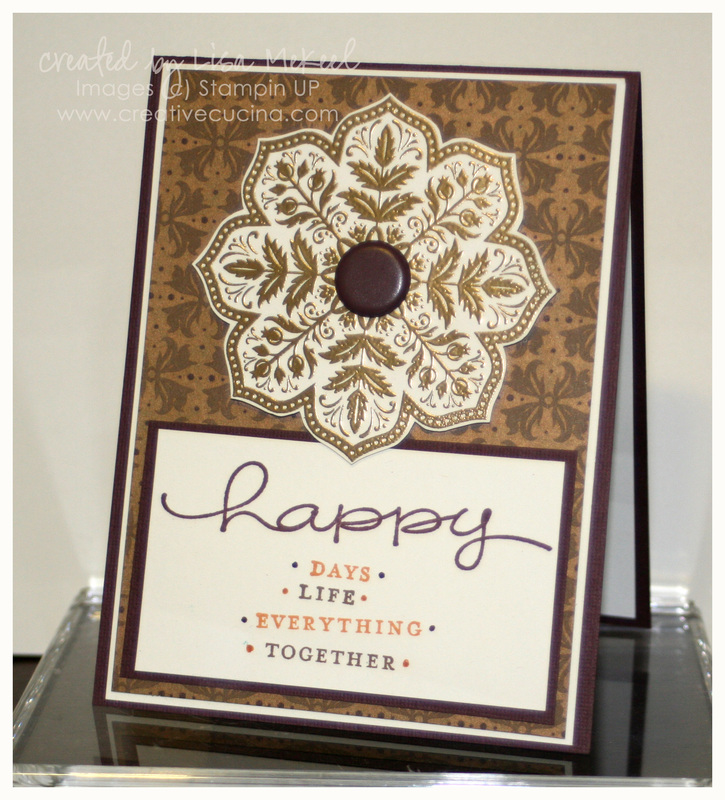 Around the edge of the card, I used the Signo Gel Pen to create a faux stitched effect and to frame out the card front. Thanks for looking. Hopefully I’ll be back sooner rather than later! My schedule has by no means lightened up but I’ll do my best to keep up!